Drafting electrical symbols can be tricky for beginners. However, templates are available for engineers of all experience levels. These templates are made of plastic, acrylic or metal. Plastic and acrylic are great for beginners or those who are unsure if they want to be an engineer. Metal (while susceptible to the markings of pencil) makes a durable template that is good for any professional engineer. Acrylic is good for another reason. It is less susceptible to breaking than plastic. However, it is not quite as rigid as metal. 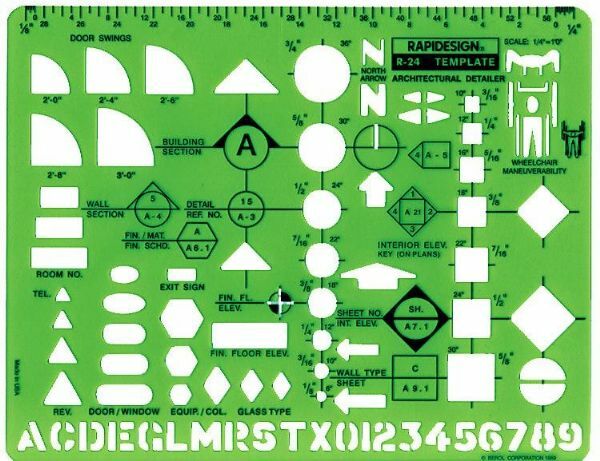 The acrylic templates are a good addition to any blueprint drawing kit for all engineers. The templates contain a range of electrical symbols. From symbols for a power box to symbols for circuit breakers, the templates will help create a functioning blueprint. The simple shapes on the templates allow multiple other symbols to be drawn. For instance, the circle on the template can be turned into a microphone symbol or a motor symbol. The loudspeaker symbol is easy to identify among the different symbols. Any engineer will be able to make the blueprints ready for the electrician. The drafting electrical symbols are great for any blueprint. Electricians and engineers can work together to make sure the electrical systems for any building (be it a house, a theater, or a cinema) will be good to go and up to code. Wiring templates are also available. With many of the same symbols, these templates are also a good addition for any engineer. 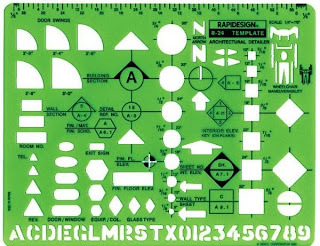 Symbols on these templates include ones for fuse boxes and switches. While knowing where a certain thing will go (a fuse box, a switch, etc.) is good, knowing where the wires will go is even more important. No wires, no electricity... and then it would let all the hard work go to waste.